If you think you can stop at a great website and think your digital needs are set, think again. Google is quickly making moves to shift the information consumers are looking for from websites to the search result page itself. Think about all the information cards you now see when you perform searches online. Think about the business listing pages that give you the address, reviews, menus, hours of operation and more. The need for consumers to move past the search engine result page (SERP) is becoming less and less, and with indications from Google, this isn’t changing. So what does this mean for your digital marketing efforts and overall strategy? 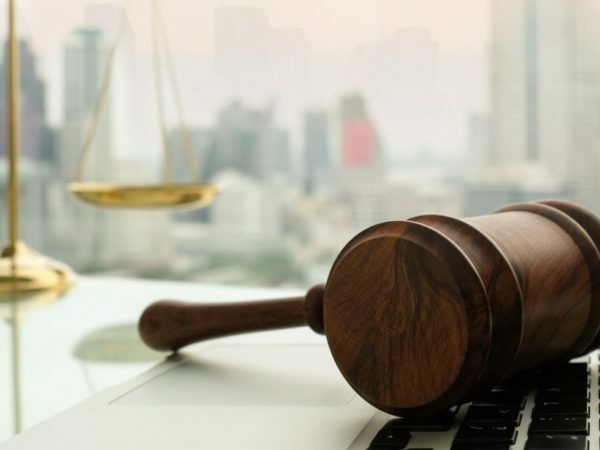 Several readily available tools within Google’s framework can help you ensure that consumers can quickly and easily access the information they need wherever they may be looking. 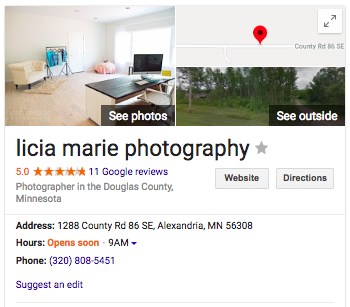 If you’ve seen the information cards, like the one for one of our clients, Licia Marie Photography, on the right and don’t see it showing up for your business, then it’s time to get cracking! Business listings are likely the first impression consumers will have when searching for you, and if you don’t have this card optimized, chances are, your competitors do and will get the consumers attention. The result is a lost business opportunity, and no one wants that. Optimizing this information is simple. Ensure that you have a Google My Business account and you have claimed your business listing. Once you have done this, you have the control. Ensure that your business name and contact information is accurate and work to fill in every snippet of information available; business category, hours, website and social media URLs, attributes, photos, opening date, and menu/services when possible. You can even add posts that show up (but they do expire after a month). If you have an online shop and e-commerce is your game, then google shopping snippets are something to consider. These show up when Google thinks that consumers are looking for products to buy and we know that consumers tend to gravitate towards these over a basic site listing almost every time. We’re likely starting to sound like a broken record on this if you’ve listened to our podcasts or are an avid reader of our digital journal. But we can’t say it enough. Reviews are everything! If there is one activity you should commit to today, it’s establishing a process for identifying your best customers and encouraging them to leave a review wherever you can get them to do so. Google, Facebook, and Yelp should be priorities, but look at what review sites consumers are looking to when comparing businesses in your field and ensure you are actively leveraging those as well. Aside from drumming up those positive 5-star reviews, you’ll undoubtedly run into a negative review from time-to-time, and you’ll undoubtedly be frustrated because it’s likely left by someone who makes a hobby out of being nitpicky and berating businesses. The best way to handle these is to craft an elegant reply apologizing that their experience didn’t meet their expectations and encouraging to reach out to you directly. Reinforce that customer satisfaction is a priority and that you always want to strive to be the best. Even if the response will get you nowhere with these types of consumers, at least the response is on the record, and most consumers will see this and discount the negative review. Google is starting to highlight relevant tweets in the same way they highlight news stories. Because of this, you’ll want to leverage this twitter to expand your thought leadership. In the same way, take a serious look at developing high-quality video content. Video is taking precedence over written material more and more – take advantage of this trend. These are just a few of the opportunities available, and Google continues to roll out new rich-snippets all the time. Keep up with what is relevant for your business and promotional strategy and stay ahead of the curve.